(1) Waterproof steel frame bundle package;(2)Steel frame case sealed by plywoods with each end capped. Ex-work within 1 month on recepit of order. High Frequency Resistance Welded Helical Steel Fin Tubes is widely used in the recovery of waste heat from boiler flue gas. Manufacturing Process: The fin strip is welded continuously and spirally wound onto a polished bare tube. And the tube and fins are bonded together by using high frequency resistance welding technique. We produce both solid plain and serrated helical welded steel finned tube. And also, all spiral welding tubes could be bent in the middle or at the end of fin tubes, we call it Hairpin tubes. INTERNATIONAL STANDARD FOR DIMENSIONS, TOLERANCES, AND TESTS OF HIGH FREQUENCY RESISTANCE WELDED FINS or the delivery conditions (TDC) of clients. Ovality, thickness and area reduction. Tube ends are square cut, free burrs, internally dried and air blown clean, externally coated with varnish at both ends of helical welded tubes. It shall include QAP, WPS, PQR& WPQ, raw materials mill certificates, inspection and test samples results and warranty certificate of manufacturer. 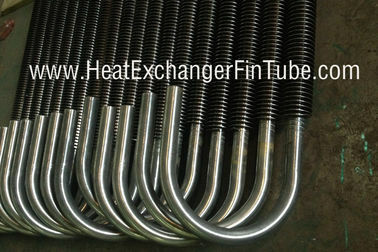 The High Frequency Resistance Welded Helical Fin Tubes are widely applied in fired heaters, heat exchanger, boilers, economizers, pre-heaters, coolers, heat pipes, heaters etc…. A wide range of fin and tube materials could be combinations are available. Dimensions Data Sheet We Can Supply. Our quality assurance plan for High Frequency Welding Spiral Steel Tubes. (2.1) Raw material control for both plain tubes and fins. (2.2) In process control with reports,as WPS, PQR&WPQ; weld deposition efficiency test before fabrication, Non-destructive test and tensile test etc. (2.3) Final inspection control with reports (Visual and dimensional check etc…). The High Frequency Resistance Welded Fin Tube is integrally extended for the max surface area to achieve efficiency. The heat transfer ratio of high frequency welding fin tube is about 8~9 times higher than other plain tubes. 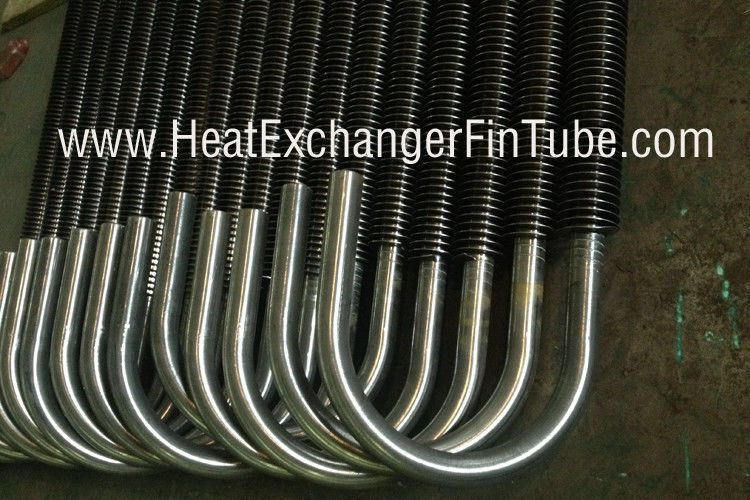 This Welded Helical Fin Tubes is a singular integral unit, eliminating heat contact resistance and losses. Generally tube side temperature up to 800 degree for stainess steel fins; Low carbon steels, withstanding up to 475 degree is the most common choice.